Osteoporosis is a bone disease occurring when the body loses too much bone, makes too little bone, or both. 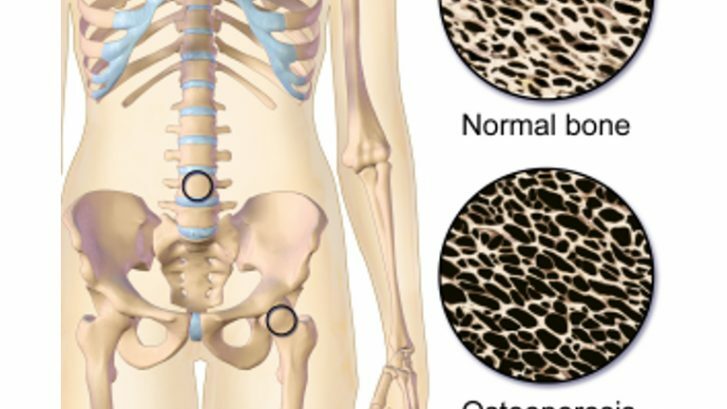 Literally meaning “Porous Bone,” when viewed under a microscope, an osteoporotic bone seems to have much larger and more frequent “pores” than healthy bone. As bones become less dense, they weaken and are more likely to break. If you have a high risk for osteoporosis and are approaching or have already reached menopause, testosterone hormone replacement therapy is a good treatment and preventative option to consider. HRT has traditionally been seen as the standard method of preventing osteoporotic breaks among postmenopausal women. While we see benefits from HRT in bone density shortly after menopause, testosterone therapy should be taken long-term to have any lasting impact on bone density and health. This will help enhance acceptability and continuation, ensuring bone protection and menopausal symptom control. Hormone replacement therapy is effective in preventing osteoporotic fractures in women without an established disease. Treatment of osteoporosis will reduce the risk of fracture, and it is essential to maintain bone structure as early as possible. For more information on HRT and Bone Density or to schedule a consultation, call us today at (201)225-2525.